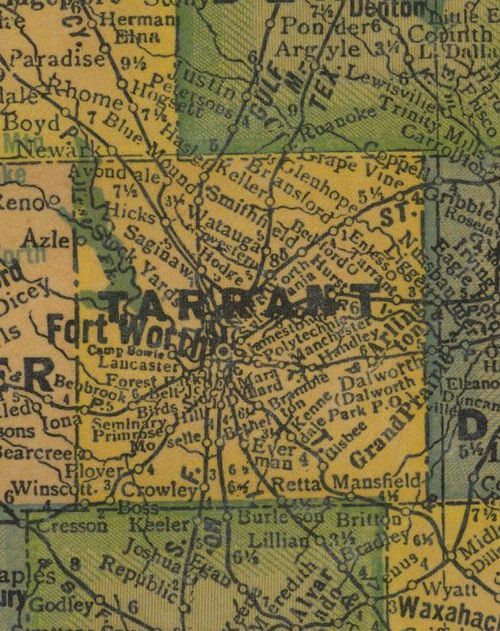 "Formed in 1849, Tarrant County was officially organized in 1850 with Birdville as the county seat, the first settlement in Tarrant County, which was formed around Camp Bird in 1848. 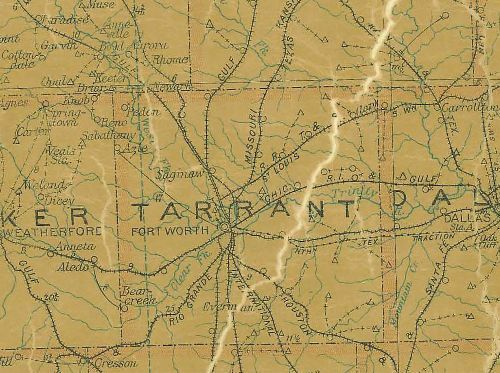 The county was named for Edward H. Tarrant, a military commander, Texas Ranger and Indian fighter who was responsible for the removal of most of the Indians who lived in the Tarrant County area. Southwest of Birdville, at the confluence of the Clear Fork and the West Fork of the Trinity River another camp was formed in 1849, named Camp Worth after Mexican War hero General William Jenkins Worth. 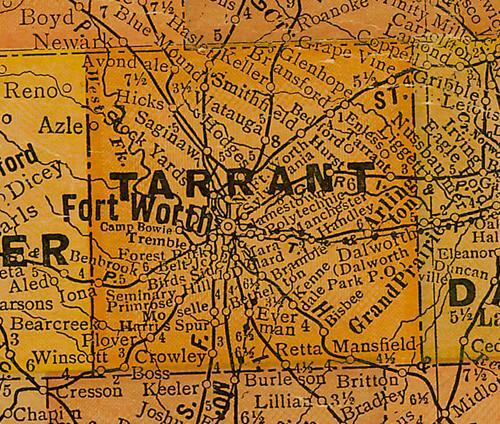 The camp was officially given the name Fort Worth. The town of Fort Worth built up around the military outpost after it was abandoned in 1853. 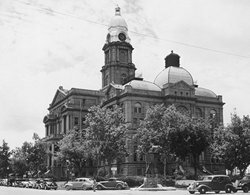 An election was held in 1856 to move the county seat to Fort Worth. Fort Worth won by a slim margin. The election results were declared invalid and another election was held in 1860. This time, Fort Worth won by a landslide with 548 votes."